← Drink.Think returns to New York on Dec. 3! Mark your calendar – Tuesday, December 3 is the next Drink.Think reading event! Once again, we’ve got a great line-up of writers slated to read from their work — and over the next few weeks, I’ll entice you with mini-biographies, starting this week with Robert Simonson. The truth is, before Drink.Think, I didn’t know Robert very well. 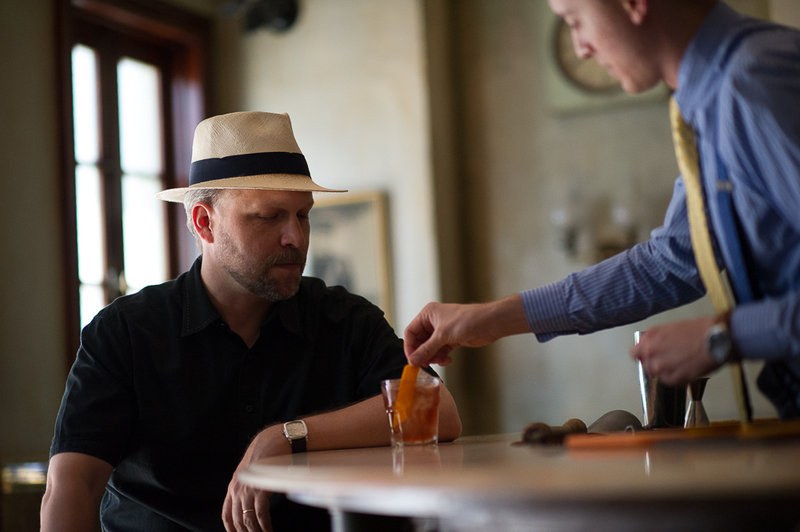 Of course, I’d seen his byline – including an engrossing personal narrative about brandy Old-Fashioneds in his native Wisconsin, published in Imbibe magazine. He agreed to read it at Drink.Think, and it turned out to be one of those pieces everyone remembers. That was two years ago – how time flies! The official bio, circa today: Robert Simonson writes about spirits and cocktails for the New York Times and other publications. His book, The Old Fashioned, will be published by Ten Speed Press in spring 2014. Got that common thread there? The Old Fashioned. (P.S. I’ve seen some of the early photos for the book, and it’s going to be freaking beautiful. Go pre-order it now.) Perhaps, if we’re lucky, we’ll be treated to a sneak preview of Robert’s forthcoming book. But you’ll have to be there to find out. Join us at Jimmy’s 43 on Tuesday, December 3. This entry was posted in Featured Writers, Uncategorized and tagged author, beverages, cocktails, drink writers, Drink.Think, Imbibe, Jimmy's 43, literary, New York, New York TImes, reading event, Robert Simonson, The Old Fashioned, writer. Bookmark the permalink.